ORDESA 4 X 4 – Excursiones a Ordesa – Monte Perdido – Bujaruelo en 4×4 – Servico de TAXI y Excursiones Exclusivas en 4×4 por el Parque nacional de Ordesa y Monte perdido. Miradores de Ordesa. 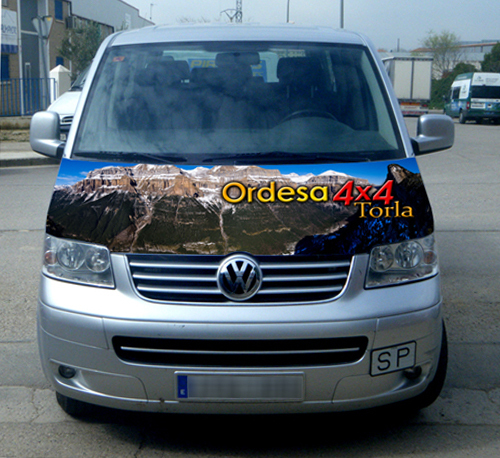 Ordesa Taxi is the official, authorized transportation service that will take you and your family on an amazing journey in and around Ordesa and Monte Perdido National Park in Torla, Spain. Torla has granted exclusive permission to access this particular area to our company, given our unique and unparalleled knowledge of the area, its surroundings and the respect we profess. Soak yourself with the aroma, beauty, and calm of this precious natural paradise. Discover its valleys and mountain peaks, its flora and fauna. We will explore the habitat of countless species, the best places to sight them and give you the opportunity to capture the best shots. All of our guides are Torla natives with great knowledge of the park. 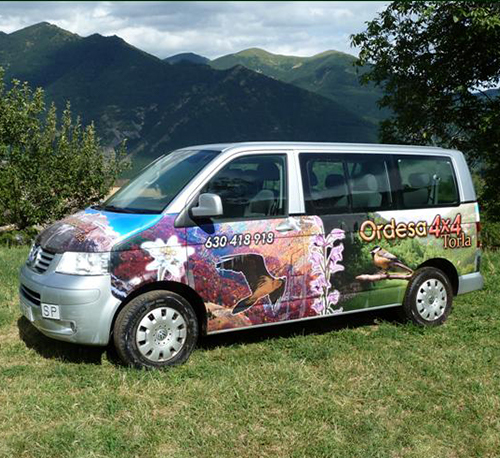 Along with years of experience, they will make of your visit to Ordesa an unforgettable experience. Our visits to the National Park and surrounding areas can be performed in Spanish, English and French. Each of our 6 vans has capacity for a total of 8 passengers. 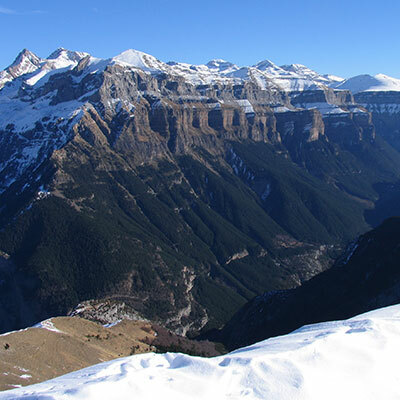 In this excursion you will enjoy view on the whole Valley of Ordesa, from an altitude of 2200 meters and from one extreme point of the valley to the end of it. You will see the famous Cola de Caballo (horse tail), the Refugio de Goriz (Goriz refuge), Monte Perdido (the lost mount), la Brecha de rolando (the Breach of Roland), the Taillon Mount, the waterfall of Cotatuero. We will make stops in 5 viewpoints, and in the ones where you can have a little walk the guide will be explaining you all that we can see: peaks, animals, plants, etc. Moreover he will carry a telescope on a tripod to show you the most interesting things. 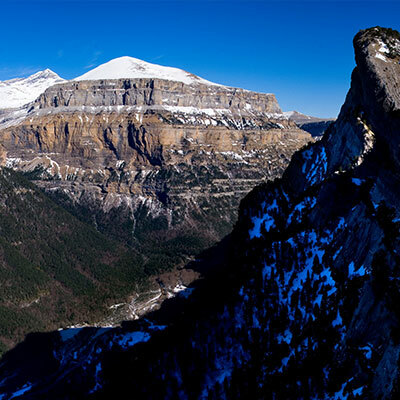 At an altitude of 1942m, Mount Cebollar stands vigilant over the Ordesa and Bujaruelo Valleys. 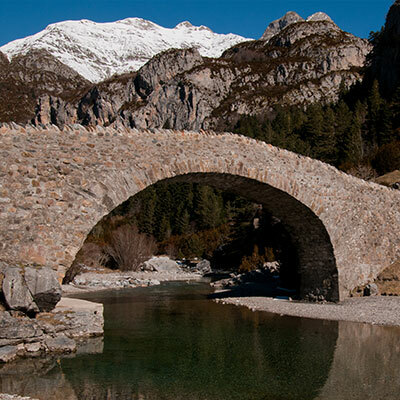 This marvelous peak Offers spectacular views of Ordesa and Mondarruego, as well as of the Ara Valley, which can be observed in all its glory from its inception in the Navarre Bridge, where the Arazas and Ara river come together to form a single flow of water. 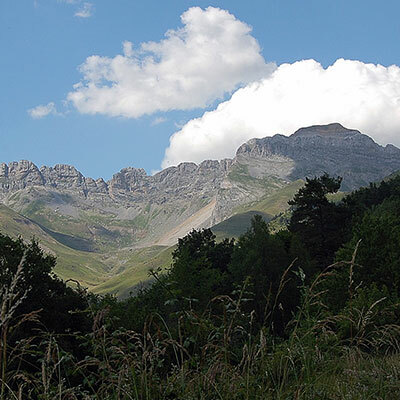 Furthermore, you will also be able to observe the L-shape formed by the valleys of Ordesa and Torla. 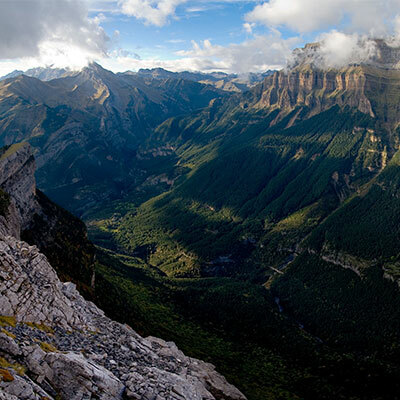 Excellent bird’s eye views of Ordesa, Punta Acuta, Ara Valley, Bujaruelo, Mount Viganamale, and Peña Otal. 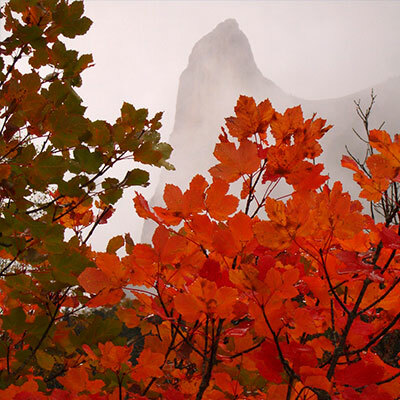 This tour will give you the opportunity to contemplate three magnificent adjoining valleys near Ordesa Valley, all listed as Biosphere reserves: Bujaruelo, Otal and Ordiso Valleys. The course of the Ara River, the only river in the Pyrenees left untouched by human activity, will accompany us along the way. Various stops will be made along this route, a paradise for lovers of flora and fauna. This tour will take us through forests, excellent alpine meadows, and large plains at the foot of Tendeñera mountain range. We will also visit the charming medieval villages of Torla, Linas de Broto, Fragen and Viu de Linas. Our tour “Ordesa Outlooks” offers you the possibility of returning walking by descending down a path that will take you deep into Ordesa Valley, giving you the opportunity of enjoying this magnificent natural space from a different perspective, a perspective of the valley from within. The path descends to the famous Cola de Caballo Waterfall. There, you can appreciate a closer look of this marvelous gift of nature. Approaches to other different places from the ones you have started the excursion. To the Valley of Otal, Valley of Ordiso to Punta Acuta to go to goriz, to the Meson de Bujaruelo and to the Valley of Soaso de Linas. Please consult us for approaches to other places.